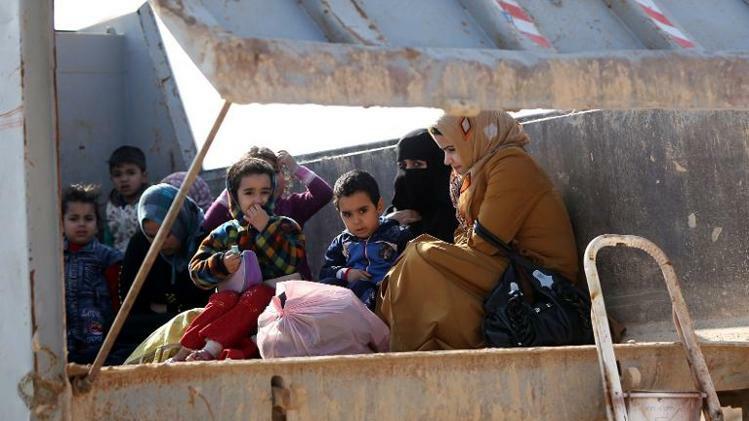 JNN 13 Jan 2014 Baghdad : As militants hold parts of Ramadi and all of Fallujah, in Anbar province, Sunni families are now seeking safety in the Shi’ite-majority Karbala province. A steady stream of families fleeing fighting in Ramadi and Fallujah is arriving at a checkpoint in Iraq’s Karbala province, seeking shelter from the deadly violence. As militants hold parts of Ramadi and all of Fallujah, in Anbar province, Sunni families are now seeking safety in the Shi’ite-majority Karbala province, in a country that has been Posed by the International Media as been Divided on sectarian Grounds. The checkpoint in the Ain Tamr district has the look of a border crossing, manned by police and soldiers supported by armoured vehicles. Authorities have laid on the extra security to stop militants entering Karbala, where the Prophet Mohammed’s grandson Hussein is buried, at one of the holiest sites in Shi’ite Islam. One of the nearly 300 people to seek refuge in Ain Tamr is 38-year-old Hussein Aleiwi, who worked in a restaurant in Ramadi, 100km west of Baghdad. He has just arrived at the checkpoint with 22 other members of his family, mostly women and children, among them his wife and six of his sons. “The only choice left was to flee for fear our children and wives would be killed in the continuous shooting and the mortar shelling in Ramadi,” he says. His voice shaking as he holds his daughter, Aleiwi says “the city is suffering from a lack of security, of fuel, of electricity, and most businesses are shut”. Fear and exhaustion show on the faces of his family as they wait for a truck to take them to the house of a relative in Ain Tamr. Abbas Razzaq, who arrived from Fallujah with his wife and four children four days ago, is relieved to be away from the fighting. Fighting broke out in Anbar after security forces demolished a major anti-government protest camp last week, and al-Qaeda-linked militants seized control of Fallujah and parts of Ramadi after security forces left areas of both cities. Dozens of people have been killed in Anbar violence, including clashes in Ramadi, as troops try to retake control of militant-held areas, and on the outskirts of Fallujah, parts of which have been shelled by the army. It is the most serious unrest in years to hit the Sunni-majority province bordering war-torn Syria. It is also the first time militants have exercised such open control in major cities since the height of the insurgency that followed the US-led invasion of 2003. This entry was posted in Jafria and tagged Fallujah, Karbala province, Ramadi. Bookmark the permalink.